Great use of the prompt this week! Your use of adjectives is fantastic, well done for not using the same old boring ones and being more daring. I thought your use of the word ‘pompous’ was excellent. Using adjectives in this way really allows me to picture the story in imagination vividly. 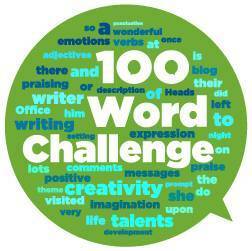 This can be challenging for a writer to achieve with only 100 word to use, but you have achieved this! I really like your story . I really like your story. What did the kidnapper look like. Why did Billy not go home with his friends.? Keep up the good work.